The Lightning cable that Apple supplies with its devices is desperately fragile and hopelessly short. One alternative is the aptly-named Titan, a ten-foot monster that is covered in two layers of flexible steel. The casing is meant to be puppy-proof (an extreme standard of durability! ), and the connectors are sealed. MFi certification also means that it is guaranteed to work with any Lightning device. You can order the Titan now for $24.99 with free shipping. This backup battery can recharge your iPhone several times over, but it can actually keep you powered for much longer. It has an in-built 1.2W monocrystalline solar panel, which allows the SolarJuice to recharge passively without a wall socket in sight. The casing is rain-resistant and shock-proof, and the two USB ports allow simultaneous charging. The SolarJuice is currently $49.99, shipping included. If you like the idea of the SolarJuice but want something a little more compact, this version is well under six inches long, and under an inch thick. Like its bigger brother, it has a good capacity, a solar panel, and two USB ports. It also has a LED flashlight, and a tough shell. The SolarJuice is currently $29.99, shipping included. If you need the extra reach of the Titan without the suit of armor, this is the Lightning upgrade for you. It is ten feet long, solidly built with reassuringly thick insulation, and MFi certified to ensure compatibility. It is also pleasingly light and easy to coil. You can get one now for $28.99 shipped. 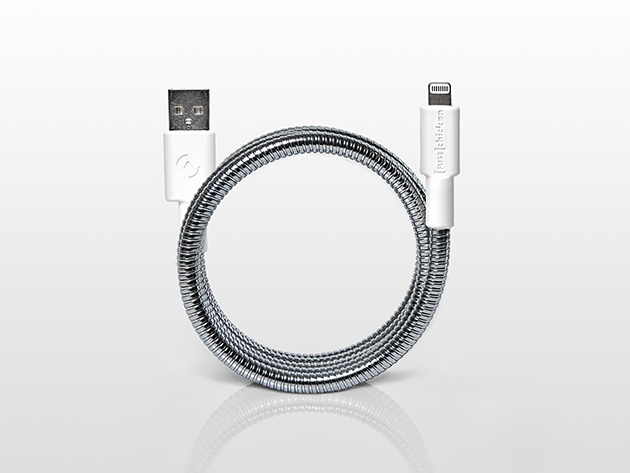 Your other option for long-range charging is this Lightning cable. Like the others, it is ten feet long and MFi certified. However, this one has a braided exterior, which not only adds extra protection, but makes the cable virtually impossible to tangle. 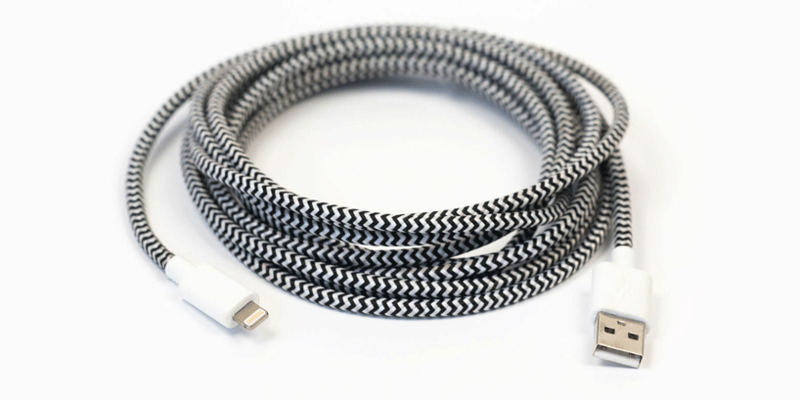 The braided cable is currently $19.99 shipped, and it comes in three color schemes — charcoal, black and white, and red.